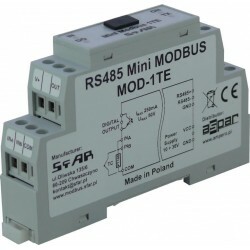 We provide an array of MODBUS I/O interfacing products. Select from our SLIM SERIES, STANDARD SERIES, or MINI SERIES. All products are manufactured in Poland and offer a 2 year Guarantee. Click on the images below to view the specifications. Contact a AutoSysCon representatives for U.S. pricing and delivery!